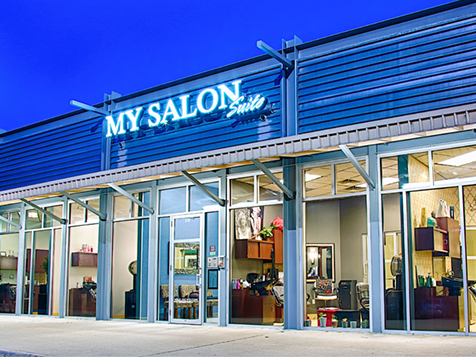 How do I buy a MY SALON Suite Franchise? Open MY SALON Suite in any of these available states: AL, AK, AZ, AR, CA, CO, CT, DE, FL, GA, HI, ID, IL, IN, IA, KS, KY, LA, ME, MD, MA, MI, MN, MS, MO, MT, NE, NV, NH, NM, NY, NC, ND, OH, OK, OR, RI, SC, SD, TN, UT, VT, VA, WA, WV, WI, WY, DC. SEMI-ABSENTEE OWNERSHIP - This is a TRUE absentee business model. Keep your job or enjoy the lifestyle benefits of MY SALON Suite Ownership. FEW MOVING PARTS - As a franchisee, you rent suites to salon professionals; you support the salon professionals with maintenance and business development programs; you collect rent. RECESSION RESISTANT INDUSTRY - The salon industry does not experience the large ups and downs like other industries. MY SALON Suite is the next generation of the hair industry because it brings together a collection of salon professionals in one luxurious location. 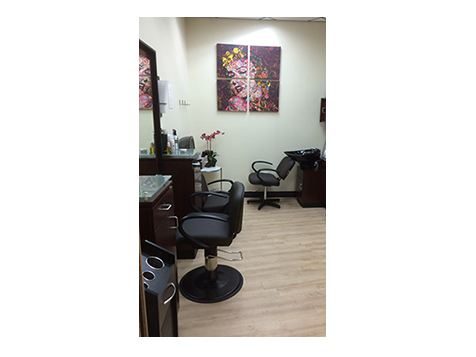 We offer private individual salon suites for highly qualified, established beauty professionals, who are ready to make an investment in themselves and their own success. Make an investment in yourself and your own success by joining the next generation of the salon industry! MY SALON Suite is not currently active in our directory, but here are some other recommended selections for you to explore.